An international crew of three started a two-day journey to the International Space Station, safely launching into orbit atop a Soyuz FG rocket on Wednesday. 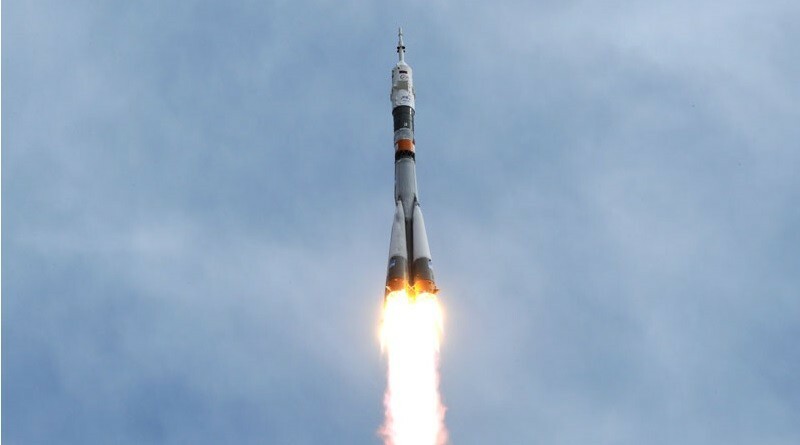 Aboard Soyuz TMA-18M, veteran Commander Sergei Volkov and rookie space fliers Andreas Mogensen and Aidyn Aimbetov blasted off at 4:37 UTC from Site 1/5 at the Baikonur Cosmodrome. Performing a nine-minute climb into orbit, the Soyuz FG rocket successfully sent the Soyuz spacecraft on its way, set to stick to the scenic route with docking to the Poisk Module of ISS planned on Friday.